IT’S SUNSCREEN TIME: Ultraviolet rays from the sun is a serious risk to your health. 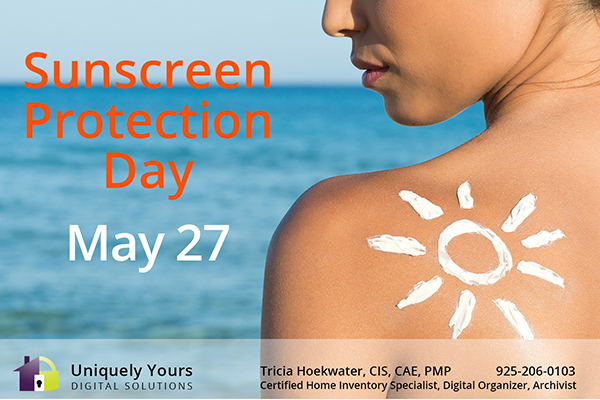 Sun Screen Protection Day educates and brings awareness to the importance of using sunscreen to protect yourself and your loved ones from harmful UV rays from the sun. This day is held on May 27th, just in advance of the summer and vacation season.